Keeping our children safer in and out of our homes is a top priority for many parents. 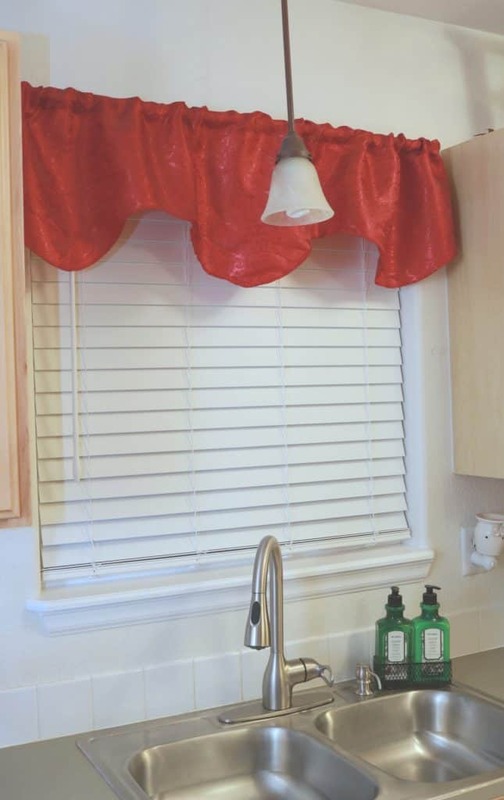 Window coverings are one of those home decor items that are necessary for various reasons, but often parents and caregivers do not realize the hazards they can brings. 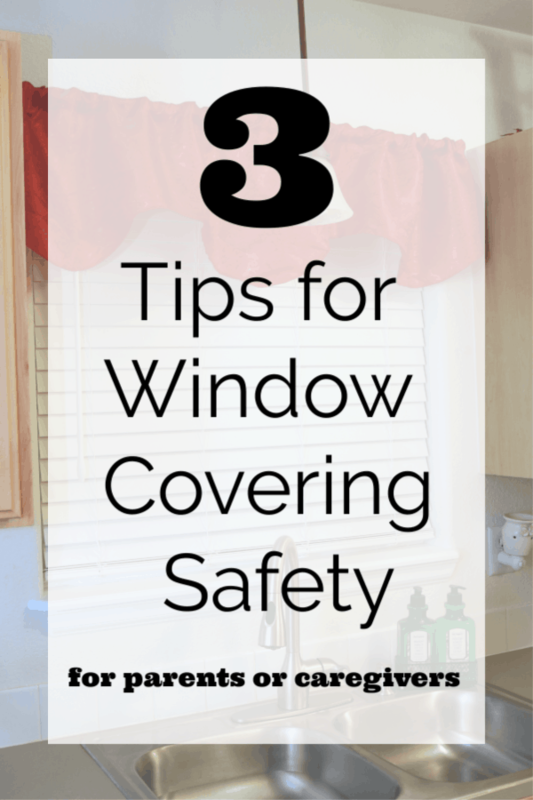 Check out my 3 tips for window covering safety and why we have chosen to invest in cordless blinds! 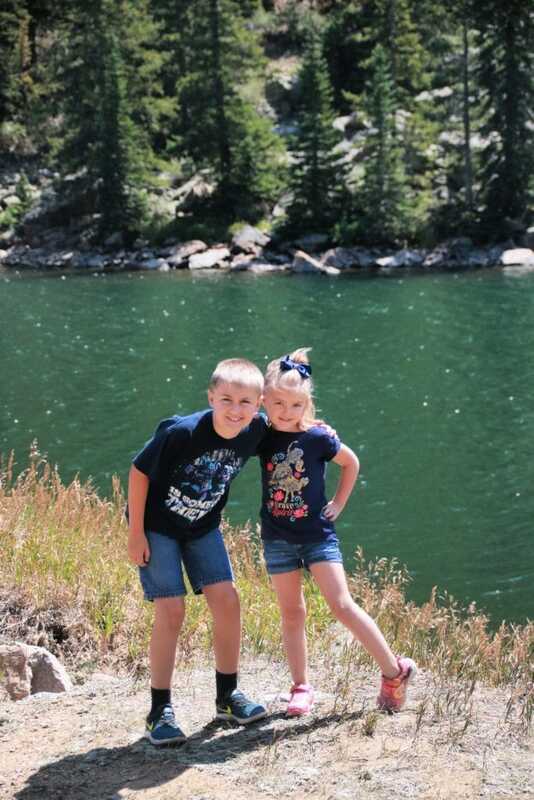 You see these two adorable children below? I would do anything to protect them. I am always looking at safety guidelines and trying to make sure that any upgrades we do to our home are made with safety in mind. Shoot, I even purchased those roll out window ladders for their rooms because I want to be as prepared as possible for any scenario. Safety is always on my mind. As we built their nurseries, we made sure to secure all the furniture to the walls and to keep furniture away from the windows. As they grew and the beds transitioned to full size beds, it was impossible to make the furniture fit, unless the beds were next to the windows. Both our kids rooms are set up the same way and it is really the only way to make them fit. I was terrified of the blinds that we had installed originally in their rooms. When they were little and they were far away from them and unable to move towards them, I didn’t worry about their safety around the blinds as much. However, the minute that we had to put their rooms in the new formation and my babies were able to get near those blinds, we decided to switch from the typical corded blind to the cordless blinds. It was a decision that I researched a lot and one that I am so glad we have made. 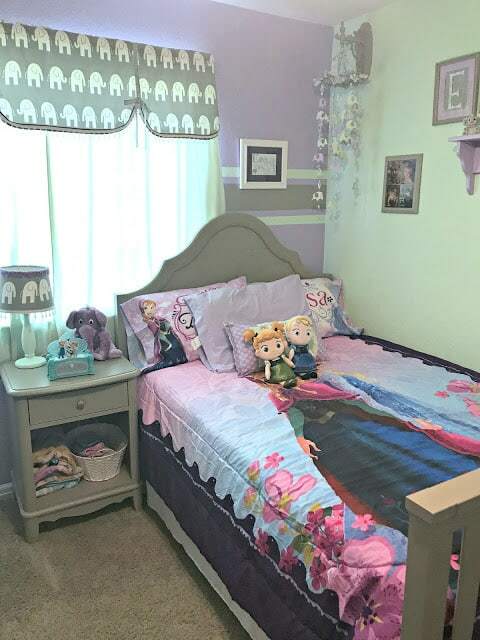 When we made the switch in the kids rooms, we did so throughout the family areas of the home as well (although we are working to have them in ALL the rooms). My son was never a climber and always has had a good fear of pretty much everything, but our daughter has no fear, will do something in spite of you, and is 100% ready to show you that she is the boss lady. Cordless blinds were a must. We purchased our cordless blinds at a local retailer and had them cut to fit each window. They were easy to install and honestly, I actually open up our windows more now because they are so much easier to use as well. We have a couple different styles of cordless blinds in our home. 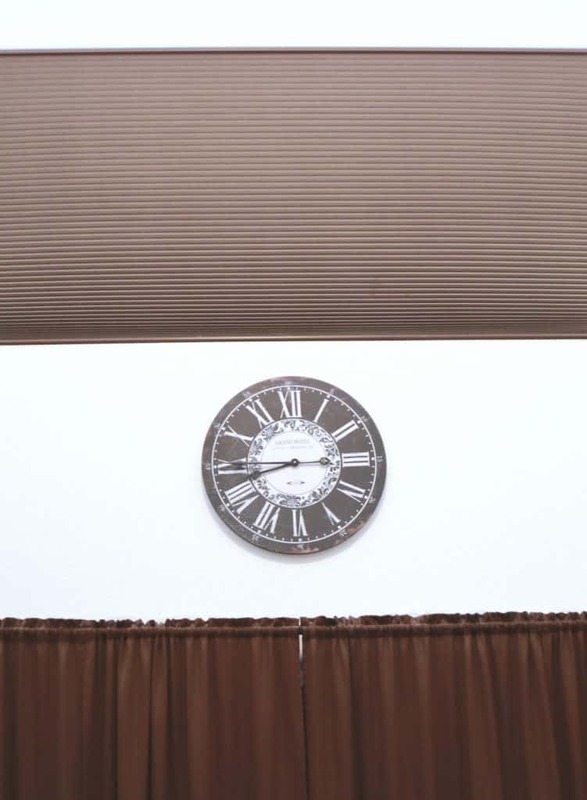 In our kitchen and bathroom we have these slatted blinds and in our family rooms and the kids rooms we have the cellular shade type you see in the photo below. We have a remote for the cellular shade in the photo above, which is pretty much the coolest thing ever, however, for the others around the house adjusting them is super easy. 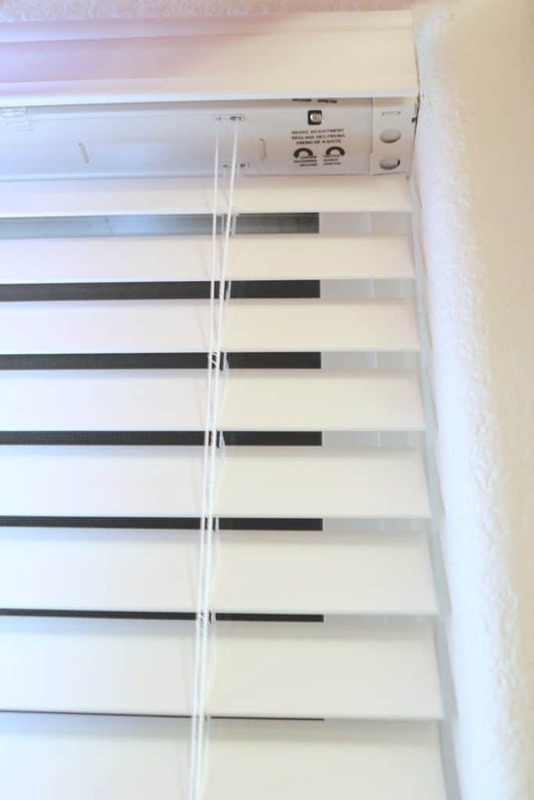 You just simply press up to raise the blinds and then pull down to lower them. The turnstyle still works the same to allow light in with the blinds down. The faux wood blinds that you see in the photos above and below are classic in style but have some built in safety features that we love. First of all, the cordless lift system is easy to adjust. Second, the slats are secured firmly and do not have that give in them like a vinyl blind has, that would allow a child to get their head in between the slats (trust me, I tried it myself because I was still worried) and last they meet the Certified Best for Kids standards! The Best for Kids™ certification is relatively new among the window covering industry but is a fantastic program. For a manufacturer to become eligible for this certification they have to meet very specific criteria and they have to submit their window covering products for 3rd party testing. If they pass the testing they may use the Best for Kids™ label you see below! This label lets consumers know that the window coverings they have selected fit into the criteria of either having no cords or operating cords. Having inner cords that are not accessible and if they are accessible the inner cords cannot create a hazardous loop. When I went shopping for blinds, I definitely inquired about the label, did some research on the Best for Kids™ certification and made sure to purchase my blinds with this label on them. October is National Window Covering Safety Month. 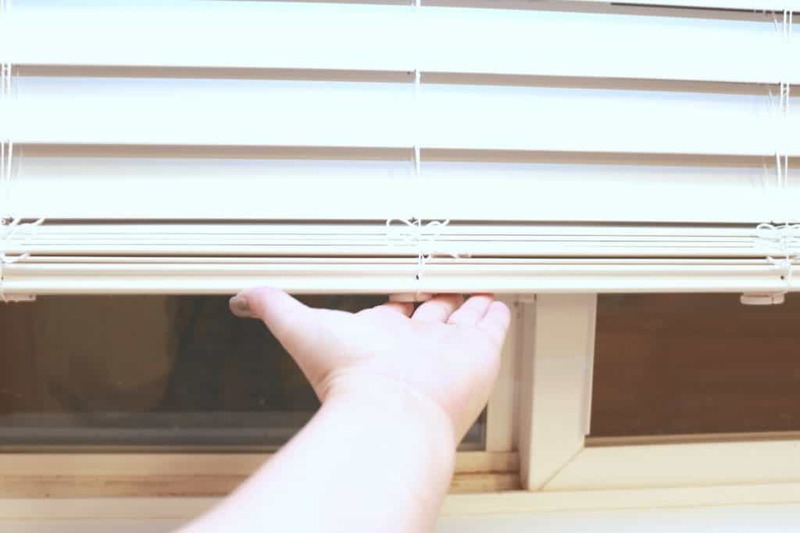 As a parent that focuses on safety around our home, I absolutely wanted to share with others who are either parents or caregivers, tips for them to help keep children safer in their home, especially around windows. Tip 1: Check your Window Coverings: Check them and check them often. Look for exposed or dangling cords that can potentially cause a strangulation hazard. Tip 2: Install Cordless Window Coverings: Infants and small children are not aware of everyday dangers. Be proactive and install the cordless window coverings everywhere. Tip 3: Look for Best for Kids™ labels when purchasing: Best for Kids™ products are sold nationwide and are NOT as expensive as you would expect. We actually have found several of ours on clearance. Honestly, a couple hundred dollars for peace of mind, safer options and the knowledge that you are doing your best to protect children is a very small price to pay to replace the window coverings in your home. We just did 5 windows for under $200.00 and those were NOT on clearance. Look for that label, purchase and replace your window coverings! What are you waiting for? Get that DIY project going ASAP because Kids and Cords Don’t Mix! For more information on cordless window coverings, window safety and the Best for Kids™ certification, make sure to check out the Window Covering Safety Council. There is some incredible resources there and even free kits to retrofit your windows. Have you installed cordless blinds? Previous Post: « Fritzler Farm Park Fall Festival and Events!